This rolled paper bead wall clock will add a burst of color and charm to your home decor. Each paper bead is hand rolled by yours truly! Handmade using reclaimed materials, this clock a zero waste option for your timing needs. The manufacturing of each paper clock means less waste sent to the landfill. 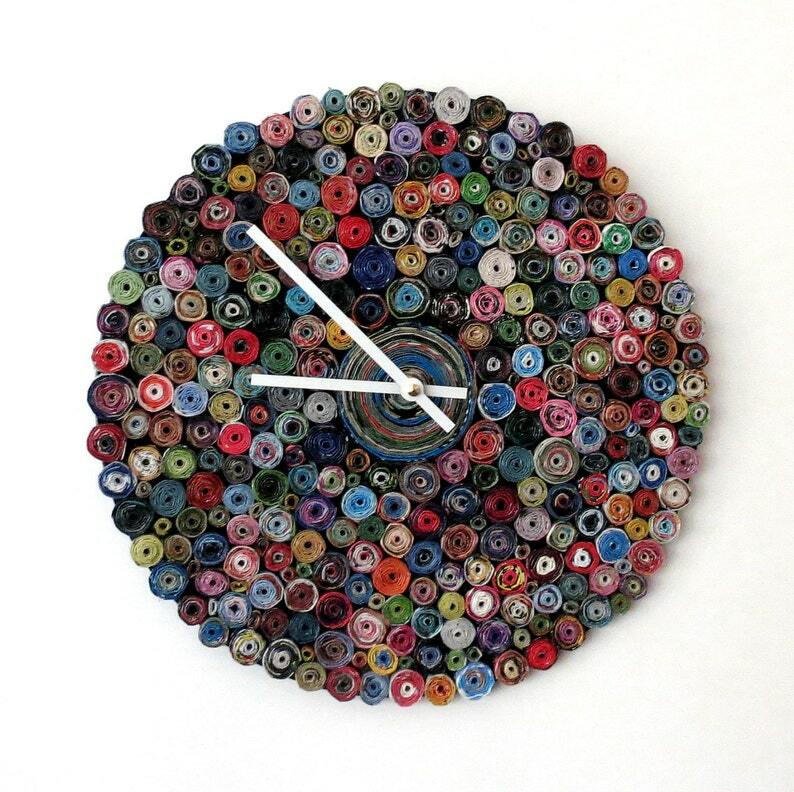 These paper bead clocks are a Shannybeebo original design and can be customized to fit your personal style. Send a message my way of you would like to discuss colors, size, etc. Clock size shown is 12" in diameter. Equipped with a metal wall hanger on the back. My creations are never quite the same, therefore colors may differ slightly from the picture.